Tired of driving off with your brake on? 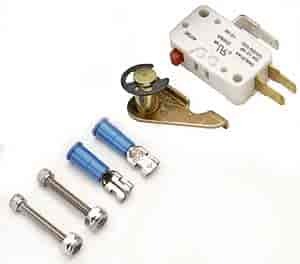 Then, it?s time to check out the Lokar Emergency Brake Warning Indicator Switch Kit. The emergency brake warning switch kit functions your dash light or buzzer to alert you when your emergency brake is engaged. Designed for use with Lokar Floor Mount Hand Brake p/n 625-EHB-7000F. Switch mounts to existing holes on gear plate of floor mount hand brake.